We use text to explain something to an audience that they can’t easily get any other way. However, just because it’s text doesn’t mean it can’t look arresting. 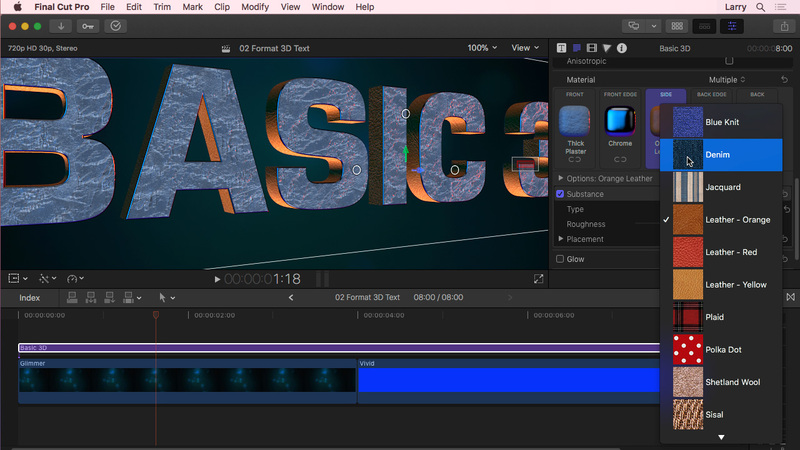 This week, we look at creating text effects. Animated, interesting-looking text is increasingly important – especially for social media. In this session, you’ll learn new techniques that you can put to work immediately in your projects to catch and hold the eye of the audience. This is an introductory-level session, though some knowledge of Final Cut Pro X will be helpful. This training is delivered as a single QuickTime movie.